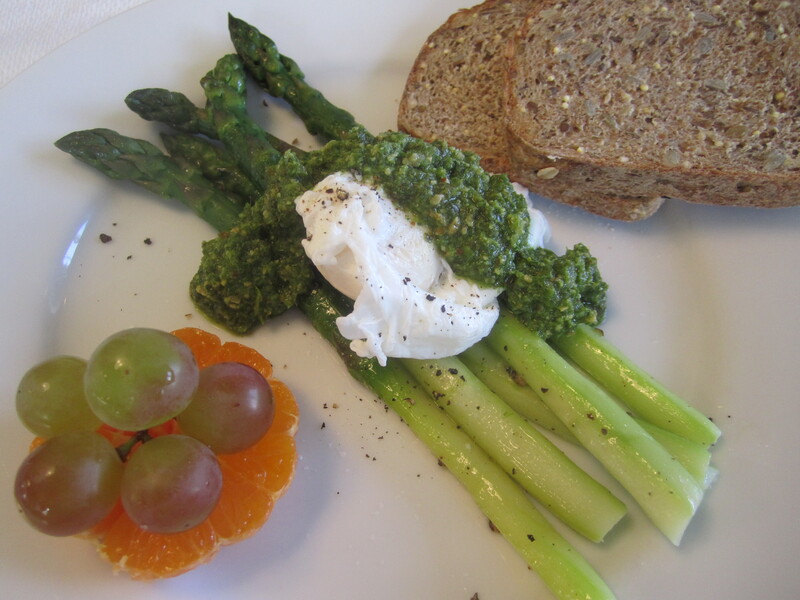 This is a beautiful Spring brunch and part three of the sorrel pesto. It’s a Springtime spin on classic Asparagus Milanese, which combines asparagus with fried eggs and lots of parmigiano cheese. 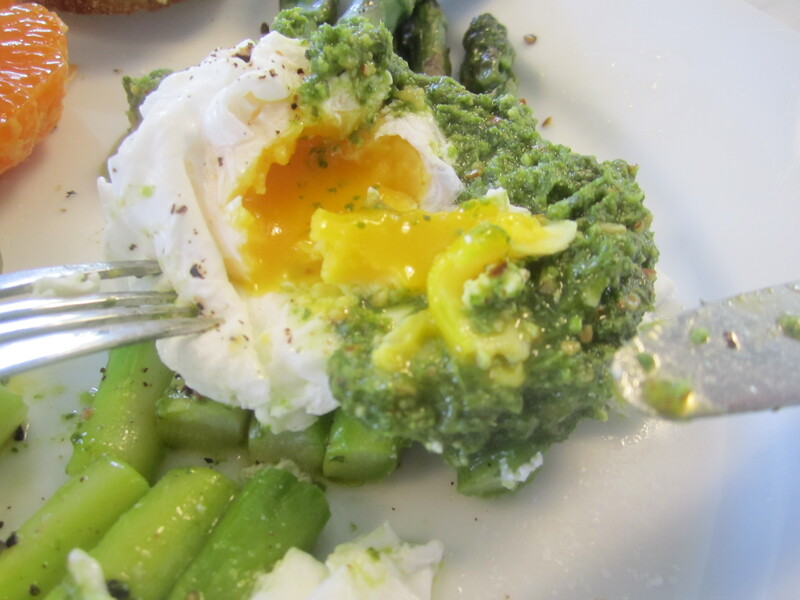 The bright, lemony flavor of the sorrel pesto is perfect over poached eggs. The richness of slightly runny egg yolks combines beautifully with the tartness of the sauce (like a green hollandaise). 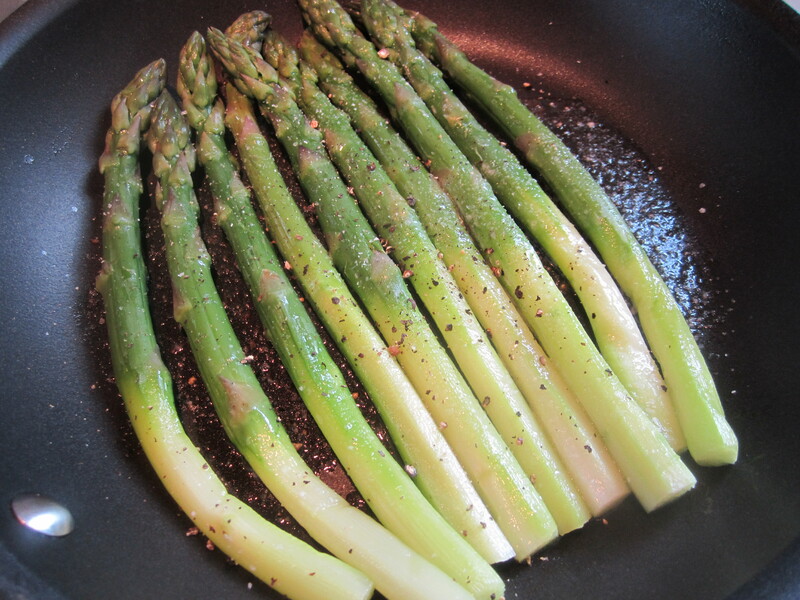 Blanched asparagus were left over from last night’s meal, so I sauteed them in butter and used them to catch the sauce. For the sauce technique, refer to Striped Bass with Sorrel Pesto. For the eggs, I used the classic French method of poaching in a large pot of simmering water laced with white vinegar–no other method produces such a delicate white and such soft, moist yolks. Simply bring a saucepot of water (about 3 quarts) to a boil. Add 3 tablespoons of white vinegar and reduce heat to medium high. Carefully crack each individual egg into small shallow bowls and one-by-one, gently slip each egg into the water. You can safely poach about 4 eggs at a time with this method. As each egg hits the water, gather its white together with a slotted spoon. The vinegar will do the rest to coagulate the eggs into little bundles. Simmer uncovered for about 4 – 5 minutes, depending on how runny you like the yolks. You can test for doneness by pulling an egg out of the water and gently touching the yolk and seeing how wobbly it feels–it should wiggle a bit. 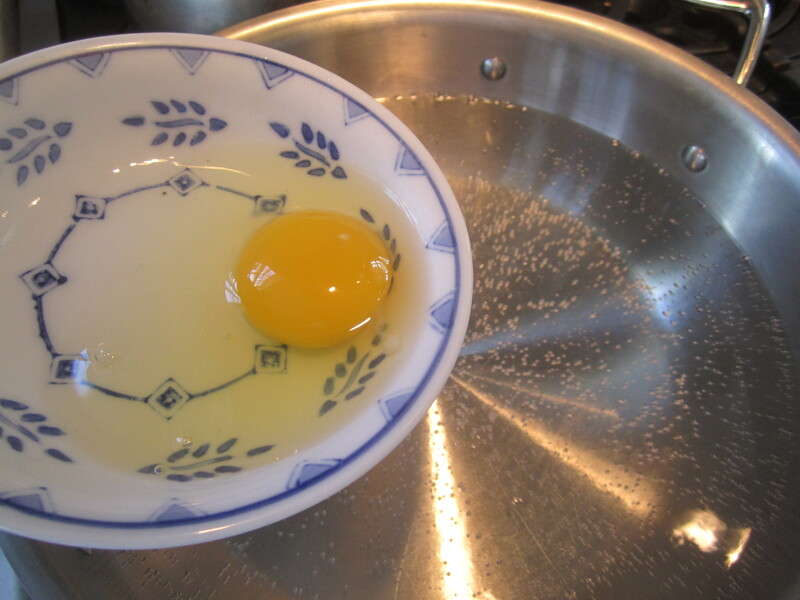 Lift each egg out of the liquid and drain for a few seconds before plating. 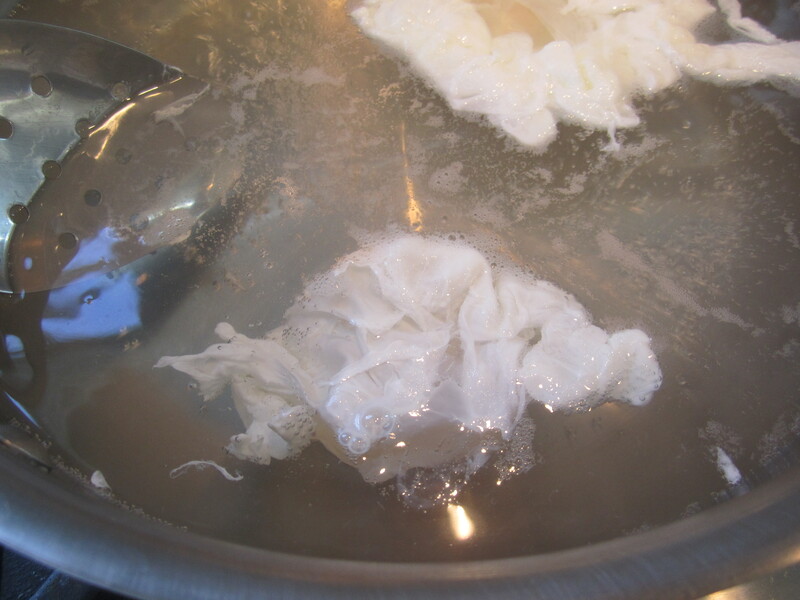 These eggs can be pre-poached, then held in ice water and re-heated for a couple of minutes in the poaching liquid. Be sure to season each egg well with salt and pepper. If you’ve poached your eggs properly, when pierced, they should run into the sauce, which should run into the asparagus–a very happy collision! Great post. I was checking constantly this blog and I am impressed! Extremely useful information specifically the last part 🙂 I care for such info much. I was looking for this certain info for a very long time. Thank you and good luck.